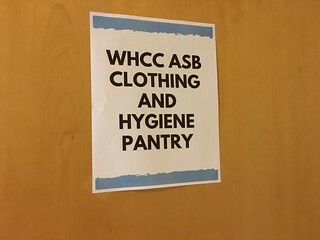 WHCC opened its own clothing and hygiene pantry! West Hills College Coalinga ASB has opened a Clothing and Hygiene Pantry for students. Students can swing by the pantry on every last Friday of the month from 12 p.m. to 1 p.m. in Building R to grab cold weather and professional clothing, personal hygiene products and deodorant. Students should look for the signs in Building R.
The pantry is also accepted donations.